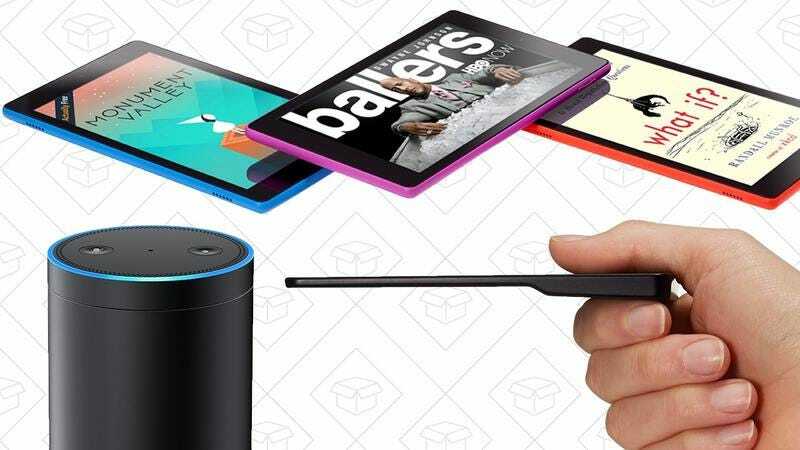 If you haven’t yet picked out a Mother’s Day gift (or just want to treat yourself to something nice), Amazon’s running a big sale on many of its most popular gadgets. The bulk of the discounts are on Kindle ereaders, including the first ever deal on the Kindle Oasis, the Kindle for the 1%. Unfortunately, the $50 price drop is only valid on the model with cellular networking. Anker’s SoundBuds are our readers’ favorite affordable Bluetooth headphones, and the newest version is down to a new all-time low price. Even at today’s all-time low price, Bissell’s Big Green carpet cleaner isn’t a cheap piece of hardware. But it’s Amazon’s top seller, and boasts an insane 4.8 star rating from nearly 3,000 reviewers, so you get what you pay for. If you have a lot of carpets and rugs in your house, it might be worth a splurge. $105 is a good price for any decent pressure washer, but it’s an absolute steal for this rolling model from Karcher. To give you some context, its previous low price was $159, so grab this Gold Box deal before it’s blasted away. This thing looks like my version of hell, but it has great reviews, and has never been cheaper.